Thank you for visiting my web site and I hope you enjoy browsing its pages. 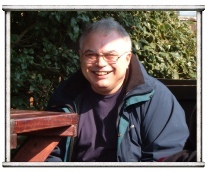 I am a freelance writer and an IT consultant for Mablethorpe Seal Sanctuary & Animal Gardens. My work covers all forms of writing, be it fiction or non-fiction, but my main aspiration is to be a successful playwright or script writer. In 2007 I graduated from the Grimsby Institute for Further and Higher Education with a first class honours degree in professional writing and was presented with the East Coast Media Award for academic excellence as well as the SourceFour Trophy for outstanding achievement. There have been successes in the past with poems published in various anthologies, articles written for magazines and in 2011, co-wrote the script for a stage production ‘Young CATS Go ... Glee! ‘. This year I have written the script for their production of ‘Death of a Diva’, which is a contemporary play set in the music industry and based on ‘Snow white’ by the Brothers Grimm. My first anthology of poems, ‘Fire Engines Go Clip Clop!’ Was published by Victoria Press in 1985. If you are not bothered about the hard copy, you can have a digital version in PDF format for free - CLICK HERE TO DOWNLOAD. Actually, I told a little fib there. My first anthology was a home produced one bashed out on my employer’s photocopier and sold for £1 a time. It was called ‘Champion of the Dreamers’. Mablethorpe Seal Sanctuary published my book of stories for children, ‘Seal Sanctuary Stories’ in 2009 and it is available from them for £3.75 or via post from me (please add 50p P&P). something of interest - be it writing, family, photos or blog with my everyday reflections on life in general. You will need Adobe Reader to view some of my work and it can be downloaded HERE or via the Links page. There is a page devoted to the memory of my late wife, Pauline and in it I describe one of my trips to our special place at Kilnsea Beach in Yorkshire. The sanctuary pages have lots of information about the Animal and Seal Trust. Belle is a classic example of the terrible injuries that happen to seals and illustrates the valuable work that they do. Photos are in a collection of albums (click each menu bar for slide show) and are accompanied by music. Most of the poetry is from my early days of writing. My first public performance was at The Maidstone Summer Festival in 1985 for which the audience gave me a double ovation. I became a semi-professional poet and performed at several gigs in London as well as the south east of England. I do far less of it these days, but write the odd one when the mood takes me. Although I have my fingers in several pies at the moment, my main focus is on doing a complete rewrite of ‘Jason’ and adapting it for the stage. When I get writers’ block on that one I tend to turn to ‘Prufrock’ or ‘Coat of Many Colours’. Some of the writing available for download is work in progress and others complete works. Although some are incomplete, they will at least demonstrate the variety of my work. If you are a theatre company and would like to perform any of my work, please contact me. Feel free to give me feedback and enjoy your visit. Some of the more ‘graphical’ examples of my writing are password protected as I have to bear in mind that children may visit the site. If you would like to read any of the protected script/prose, please email me for the generic password.